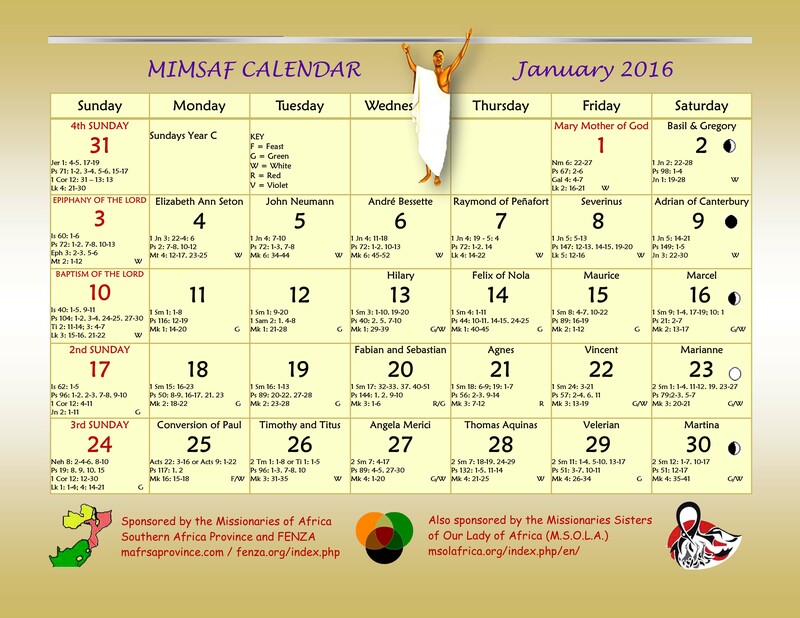 Could you please send us 2 copies of the calendar for the Generalate. Denis Laflamme brought some copies from here. He may have kept one or two. Can you ask him? Otherwise, I will send some.